Did the Trucker Who Caused Your Accident Have a Proper Medical Certification to Drive a Truck? Truck drivers are required to comply with many more rules than passenger vehicle drivers in order to be allowed to drive a truck, such as obtaining a commercial driver’s license. Because of the physical demands of driving long hours for days on end and the dangers of a catastrophic truck accident, truckers must also be medically fit to drive a big-rig truck. Here, we discuss medical certification rules that truck drivers are supposed to—but don’t always—follow that may result in the trucker causing a wreck. In order to initially be allowed to drive a truck, a truck driver must obtain a medical certification. The medical certification is valid for two years. A truck driver must receive a new certification by a DOT-approved doctor in order to continue to drive a commercial truck. The trucker’s certification is transmitted and stored in the Commercial Driver’s License Information System. The truck driver must submit a self-certification to his state’s driver’s license agency of his intent to drive commercially in one of four categories. What Does a Truck Driver Physical Examination Entail? If the truck driver who caused your accident was not medically certified or had allowed his certification to expire, this may be the basis of a claim that he was negligent in causing your truck crash. In addition, the trucker may have a medical condition that would have disqualified him from driving a truck and/or that contributed to causing your truck crash. 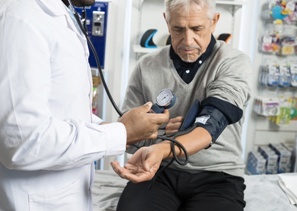 Trucking companies have a duty under FMCSA rules to ensure that their truck drivers have medical certifications before permitting them to drive and that a new one was obtained prior the certification’s expiration. If these rules were violated, you could have a separate claim against the trucking company. By raising all claims of negligence against both the truck driver and trucking company, you strengthen your claim and increase the likelihood that you will receive what you deserve in your settlement. You will need the assistance of an experienced truck accident attorney to obtain the records to determine whether or not the trucker and trucking company complied with FMCSA medical certification requirements. Contact us online or call our office directly at 817.380.4888 to schedule your free consultation. We will talk about your legal options and the compensation we can help you obtain. We help injured truck accident victims throughout Texas including Arlington, North Richland, Grapevine, Bedford, Hurst, Euless, Irving and all points in between.